Why do we love these little fairy gardens? They’ve been around for several years, and their popularity is still growing. It’s no surprise that these indoor and outdoor miniature gardens continue to spark the imaginations of kids and as well as adults! Years ago, as a creative little girl, I loved making worlds for my Dawn Dolls and Liddle Kiddles. In a small world, my imagination transformed banana split boats into Barbie boats, pizza box thingies into tiny tables, fabric scraps into rugs and blankets, corks into mushrooms… No Pinterest needed…just time and a few fun things to get started. But oh how I love Pinterest today! Fairy Gardens have infinite possibilities for containers as well as contents. You can start anywhere from our “Bark Boxes” at Yucandu to glass vases or Radio Flyer wagons at home. Yucandu has so many fun fixings to add to your tiny creations… little bright birdcages, tiny resin foxes, rabbits and hedgehogs, birds, nests, eggs, butterflies, wire benches, miniature metal chairs, and so much more… Everything is available by the piece too. 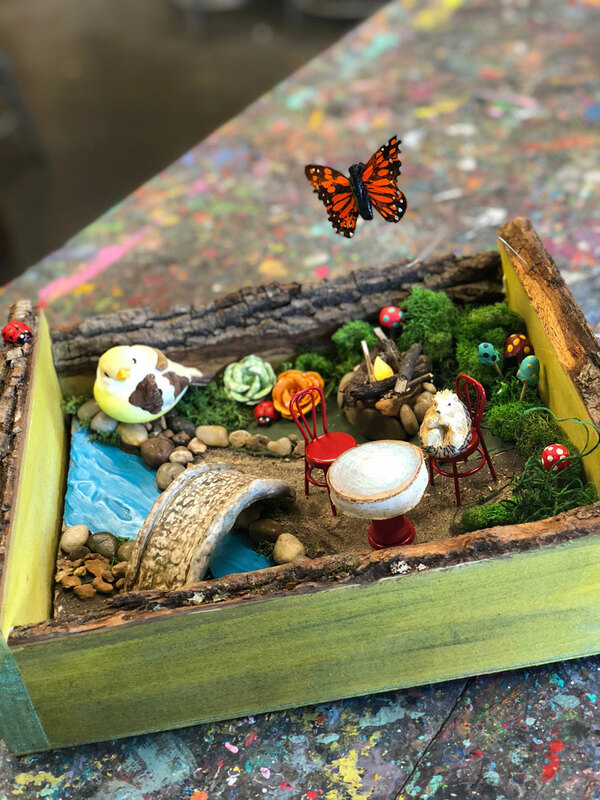 You can do a fairy garden in the open studio, purchase a take-home kit, or find all kinds of goodies to revive your existing fairy gardens. 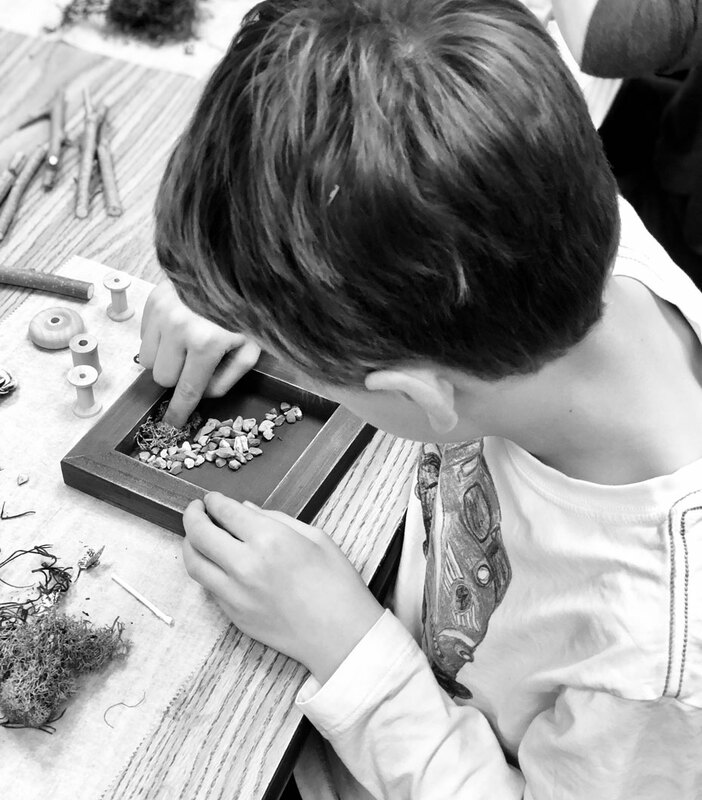 Our Summer Camp for Grades K-2nd: Imagine & Create will be making Fairy Gardens too! What a wonderful childhood memory you will be creating. I know I treasure the memories of my imaginary small worlds. We’ve been doing this for how long?